A sequence a₁, a₂, a₃,.......an is called an arithmetic progression or arithmetic sequence, if a (n +1) = an + d ,n ∈ N where d is a constant. Here a₁ is called the first term and the constant d is called the common difference. In the sequence each term after the first term differs from the previous term by a constant. The constant is same in the whole sequence. How to find the total number of terms in an arithmetic sequence? using the formula n = [(L- a)/d] + 1, we can find the total number of terms of an arithmetic sequence. Here L stands for last term. The first term of an A.P is 6 and the common difference is 5. Find the A.P and its general term. 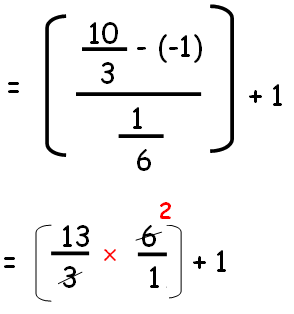 Hence, 6, 11,16,........... is the required sequence and 1 + 5n is the general term. Find the common difference and 15th term of an A.P 125 , 120 ,115 , 110 , ……….…. Which term of the arithmetic sequence is 24 , 23 ¼ ,22 ½ , 21 ¾ , ………. Is 3? Hence,3 is the 29th term of A.P. How many terms are there in the following Arithmetic progressions? Hence, 27th term of the sequence is 109. 1 , 7 ,13 ,19, ………………. and 100 , 95 , 90 ,……….. Hence, 11th terms of the given sequence are equal. How many two digit numbers are divisible by 13? The first two digit number divisible by 13 is 13; the next two digits number divisible by 13 is 26 and 39 so on. The last two digit numbers which are divisible by 13 is 91. Now, we need to find how many terms are there in this sequence for that let us use formula for n.
7 two digit numbers are divisible by 13. After having gone through the stuff given above, we hope that the students would have understood "Arithmetic progression". Apart from the stuff "Arithmetic progression" given in this section, if you need any other stuff in math, please use our google custom search here.